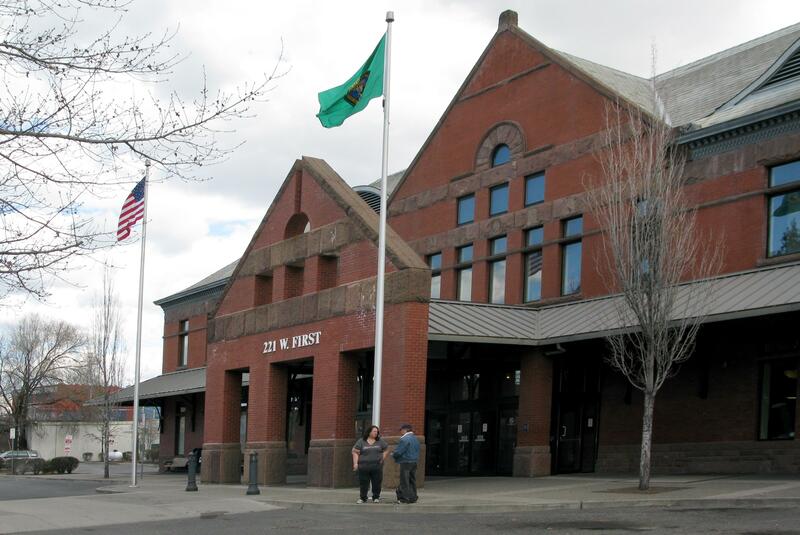 Despite a city ordinance that bars federal immigration agents from accessing nonpublic city property without a criminal warrant, the U.S. Border Patrol arrested a former student from Kenya at the Spokane Intermodal Center this past weekend. The agents boarded a Greyhound bus at the center Sunday evening to check the immigration status of each passenger. Since 2013, more than 200 people have been arrested at the bus depot. Last year, 30 people were apprehended. Bill Kingsford, a spokesman for the Border Patrol’s Spokane sector, said Thursday the Kenyan man initially tried to pass off fake identification. The man, who was not identified by border officials, entered the country in 1998 on a valid F-1 student visa, although when questioned Sunday he admitted that he hadn’t been in school for a while. “Because of that, he was no longer in status,” Kingsford said, adding that student visas don’t expire, but people who hold them are required to be enrolled in school. After spending at least a day in Spokane, Kingsford said, the man was transported to the Northwest Detention Center in Tacoma, where he awaits an immigration hearing. In keeping with past practice, Kingsford declined to name the man for “privacy reasons” and as part of his sector’s policy. Though a search of Sunday’s roster at the Spokane County Jail showed Benjamin Kibet Murei Rerende was booked at about 5:30 p.m. Rerende was also found in an online detainee locator database administered by U.S. Immigration and Customs Enforcement, which showed he was housed in the Tacoma facility. The new law, which passed 6-to-1 in late October, requires Border Patrol agents to obtain written permission from the mayor before entering the center, or any other nonpublic city-owned property. However, border patrol agents continue to regularly board buses. Kingsford said Thursday agents would continue to access the Greyhound buses and question people until directed to do otherwise by their Office of Chief Counsel, the chief legal officer for the Border Patrol. Current law permits Border Patrol agents to question anyone without a warrant within 100 miles of the border. However, Councilman Breean Beggs said the 100-mile rule might be unconstitutional. He pointed to a 1973 decision by the U.S. Supreme Court, Almeida-Sanchez v. United States, which found that warrantless searches by U.S. Border Patrol were unconstitutional without probable cause. Kingsford could not immediately say where the bus was headed, though the service has several stops to the west, including Seattle, and to the east including Coeur d’Alene and Missoula. Published: Dec. 13, 2018, 2:26 p.m. Updated: Dec. 13, 2018, 10:25 p.m.